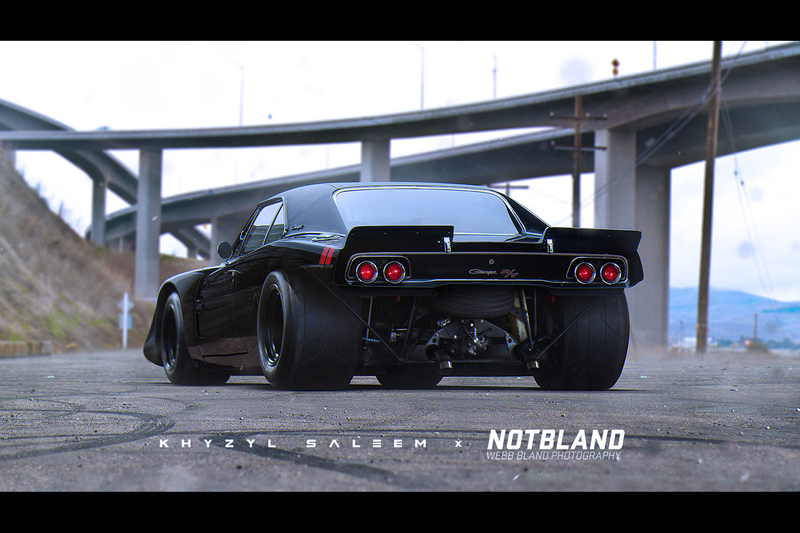 The sheer amount of work that Khyzyl Saleem churns out continues to blow my mind. 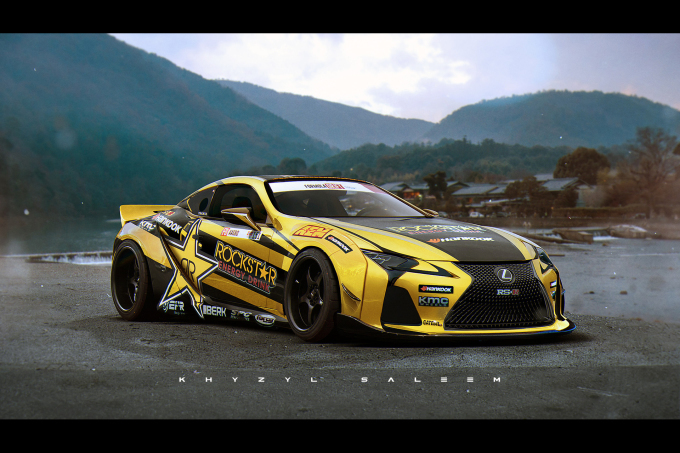 When he’s not busy rendering cars and characters at his day job in EA’s Ghost Games studio, he’s allowing his mind to run wild with crazy digital renders of the cars that he loves. What I really like about Khyzyl’s style is that everything has a meaning; there are defined themes and touches to everything he does, and it all comes from the car culture that he – like us – follows and loves so much. 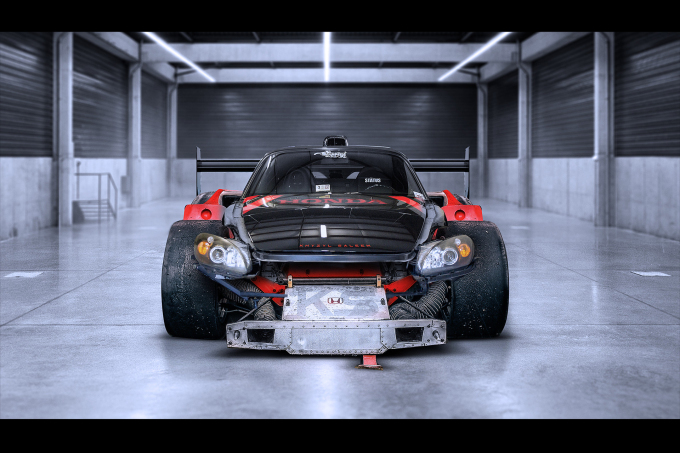 Group C racers, Le Mans Prototypes, GT3 machines, time attack monsters, hill climb devourers – they all have one thing in common: they’re built to go fast. 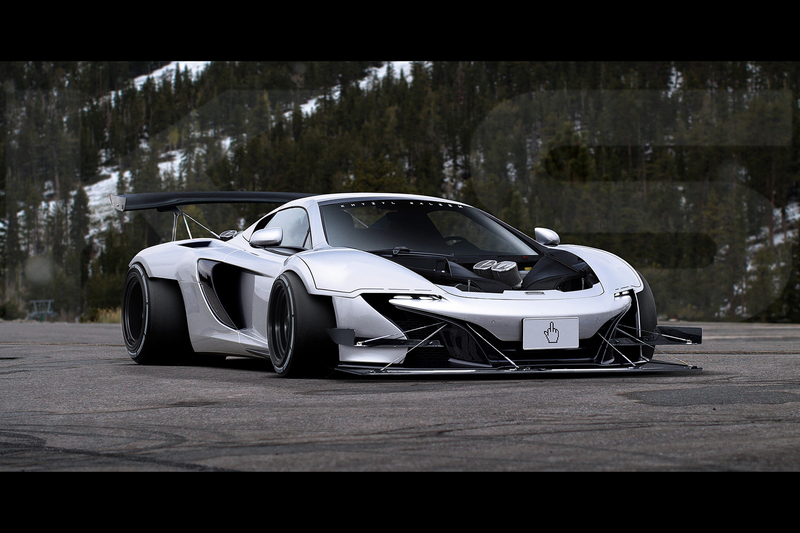 Have you ever imagined that ‘what if’ scenario when it comes to the cars we all love? Or even the ‘well, why the hell not’ scenario? I guess that’s what inspired me with this new set. Because why not make a twin rotary-engined McLaren? Or a classic Charger R/T embodied with a Porsche 917K? These ideas are the ones that drive me to try and push the boundaries. We have this idea that certain cars shouldn’t be touched, nor should they ever be styled in a particular way. It may offend people, but I guess that’s part of the fun. I love taking cars and turning them into something both fresh and believable, and unique and different. Something that has a purpose, or just looks downright cool. My love for the rotary doesn’t help. 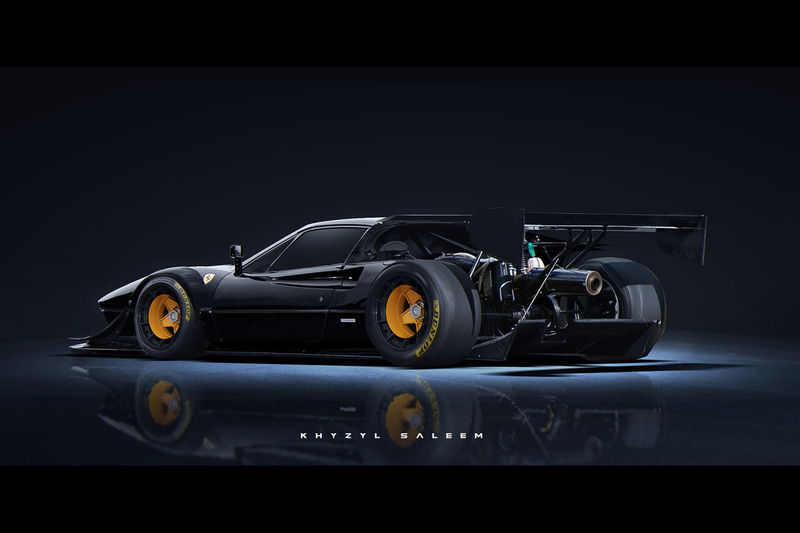 I’d literally stick a 4-rotor in a Ferrari F40 if it meant it sounded like a Mazda 787B. Autonomous Nissan GT-R and BMW M4: For a little side project I’m working on, I’m trying to imagine a future in which drones become the norm. 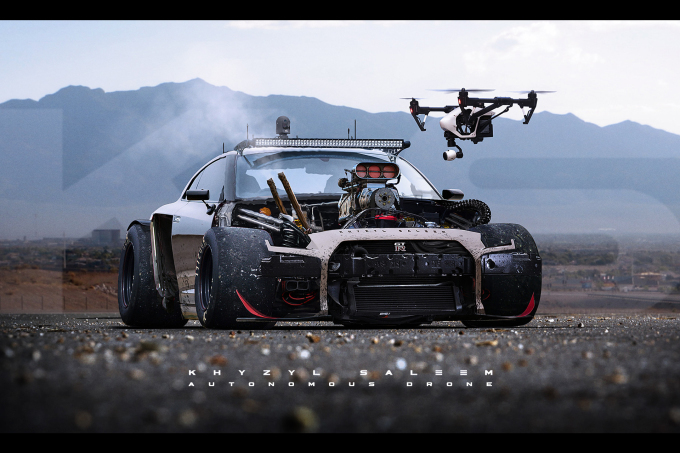 Imagine a group of rebellious car guys building car drones for scout/spying missions when needed. They’d be disposable and made from any parts they can find. 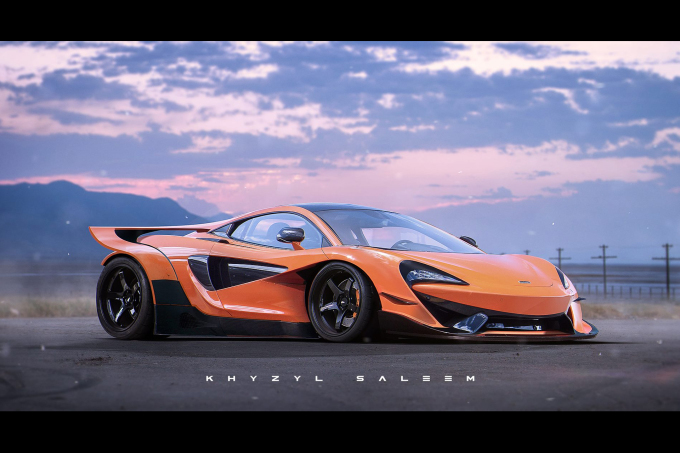 A twin-engined, 8-rotor McLaren 650S, sat on air perhaps with some super tech going on under both hoods. Maybe it’s drone controlled, maybe it isn’t. Who knows. All I know is that it’ll eat you for dinner. The Toyota 86 is a superb base for a potential rotary engine swap too. B33TLE17k: Volkswagen and Porsche have a lot of history, so I tried to see what it could have been like if they campaigned a 917K alternative for the 24 Hours of Le Mans. 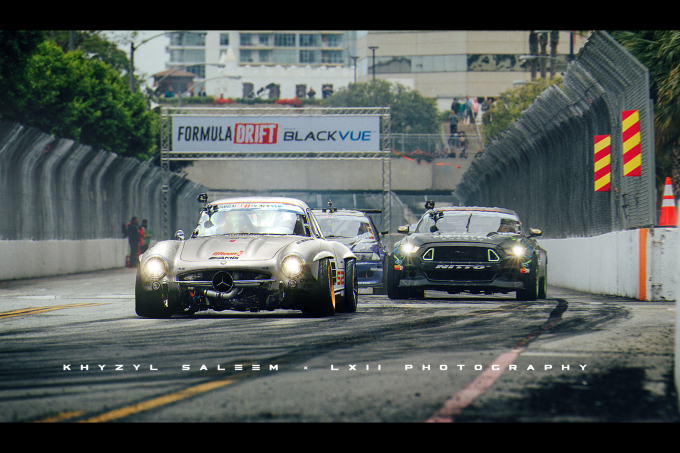 And here’s another with the RWB treatment. 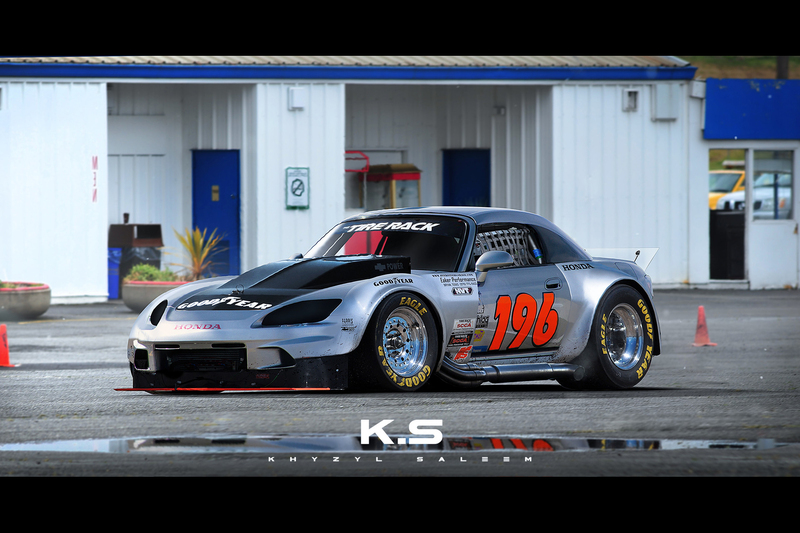 Optima Ultimate Street Car Invitational Pickups: It seems like a rather fitting time to show these seeing that this is one of the coolest events to follow SEMA. Charger R/TK17: A Group 5-inspired race car. 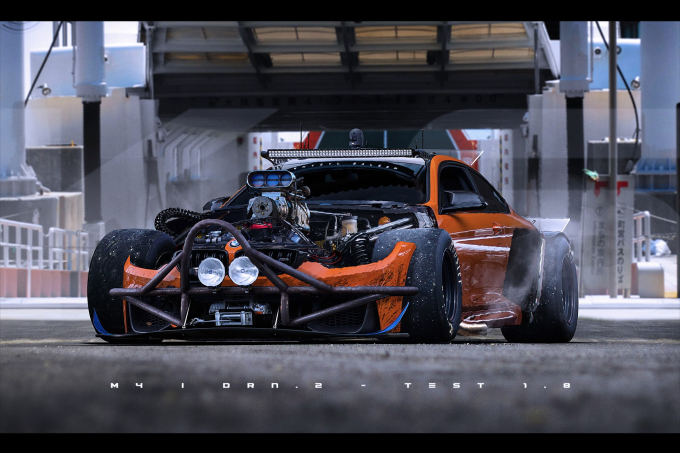 Think of it as a mash-up between a Porsche 917K with the R/T flares and character. Not one for the purists. Who doesn’t love a chunky bull? 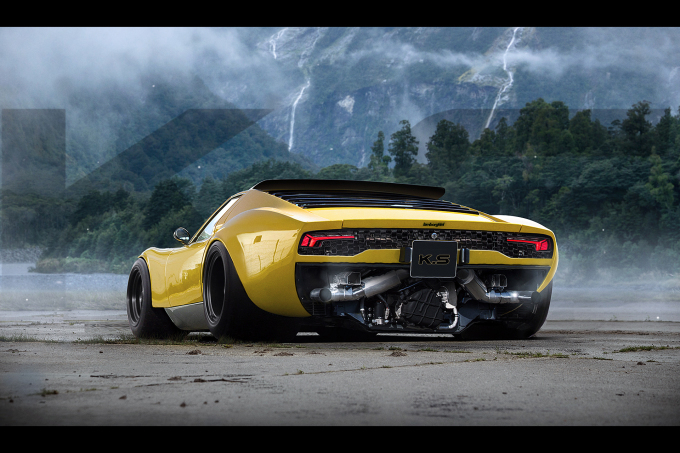 I tried to give this Lamborghini Countach a bit more of a modern look by using Huracán taillights. Turned out pretty well. They work well on a Miura, too! 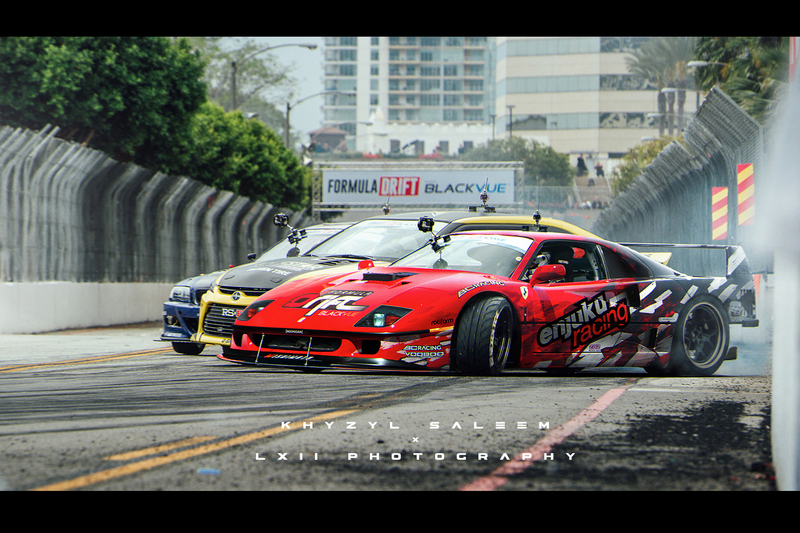 Formula Drift-spec Ferrari F40, Lamborghini Miura and Mercedes-Benz 300SL: So many FD competitors seem to be pushing boundaries when it comes to drift machines these days, so why not push them further? 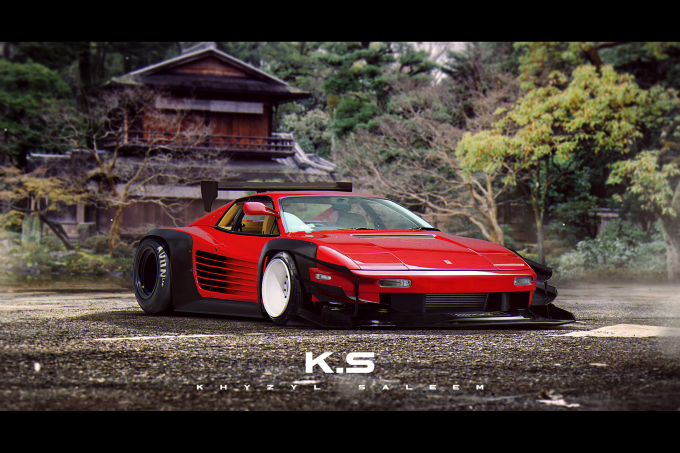 Disclaimer: No actual F40s, Miuras, or 300SLs were harmed during the making of these renders. And one with a slightly more American feel, running a big block V8 swap. 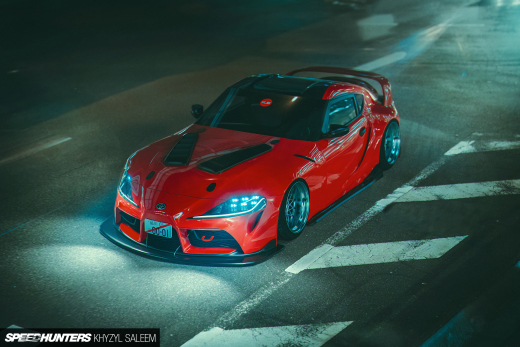 The Japanese continue to inspire for the way they manage to get the best looks out of any car, even if it isn’t a JDM platform. 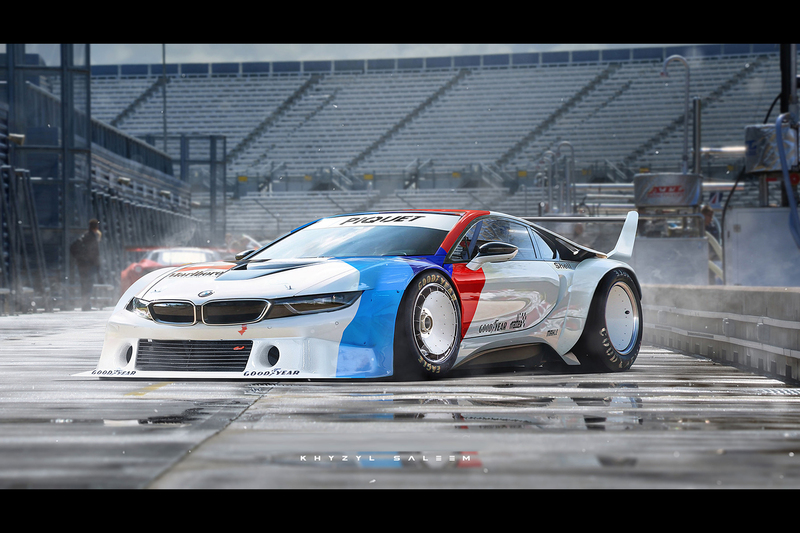 I was curious to see what a Procar version of the BMW i8 could look like, inspired by the gorgeous M1 Procar. A Bisimoto Engineering-inspired Porsche 918 with four turbos. Because, why not? I hope you enjoyed this race car set. Making cars built for a purpose is one of the most fun things that can ever be done. Does Khyzyl get a feature every month from now on? He's been busy. 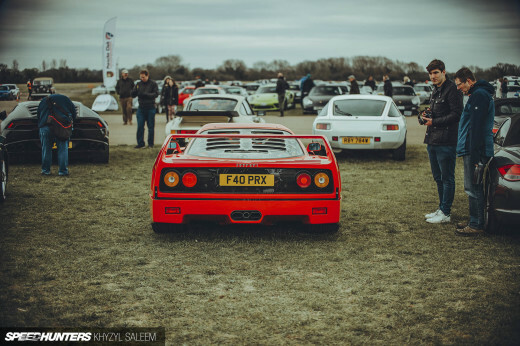 Does that Ferrari 328 also wear a 288 GTO body? No, really, dat BMW M1/i8 combo is WINNING!!!! This guy deserves his own company, these things look better than 70% of all cars out there today. The other 30% are equal. These are great fun, I'd pick a favorite, carry on scrolling and find another. Have you ever tried designing a car from the ground up? 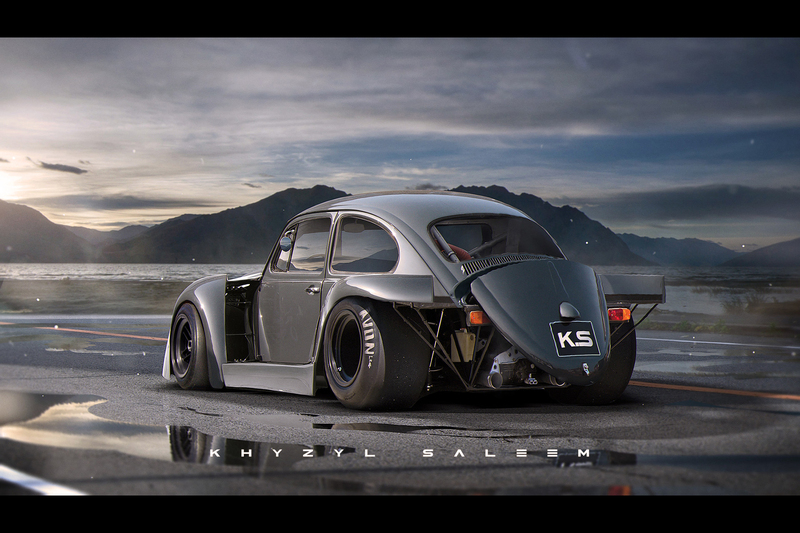 I love your work, as someone who's been using photoshop professionally for 12 years now your stuff is seriously impressive to me, but this bit had me laughing: "We have this idea that certain cars shouldn’t be touched, nor should they ever be styled in a particular way. It may offend people, but I guess that’s part of the fun." - no one's getting offended buy your virtual renders, man! These are seriously amazing. 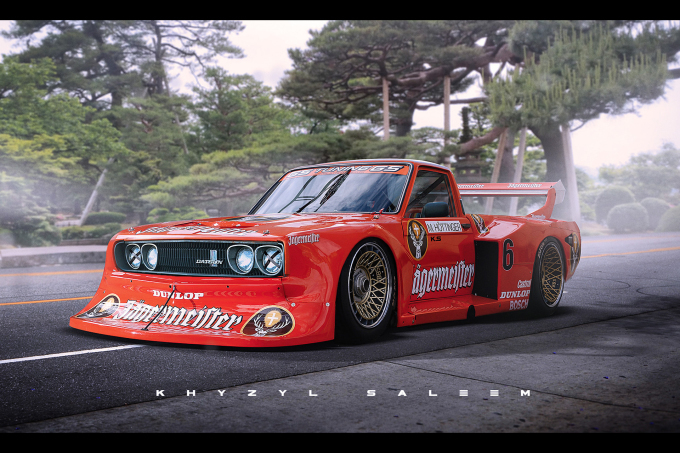 It's almost impossible for me to pick a favorite, but I think the Jägermeister Datsun might sneak in the win. So cool to apply that body style and livery to a small pickup. That would be so cool! Do you sell prints of these or full size downloads anywhere? Keep up the amazing work, been following you on your facebook page for a while now. I love your artwork dude keep up the amazing work! cant wait till a brave builder hires you. we need to see one of these cars smoking tires and shooting flames. Can I have your imagination please? FrankensteinConnelly Oh god, I'd love to see where his imagination would take him with mine: 1990-1992 Honda Accord wagon. Old school racer style. Pweeease? 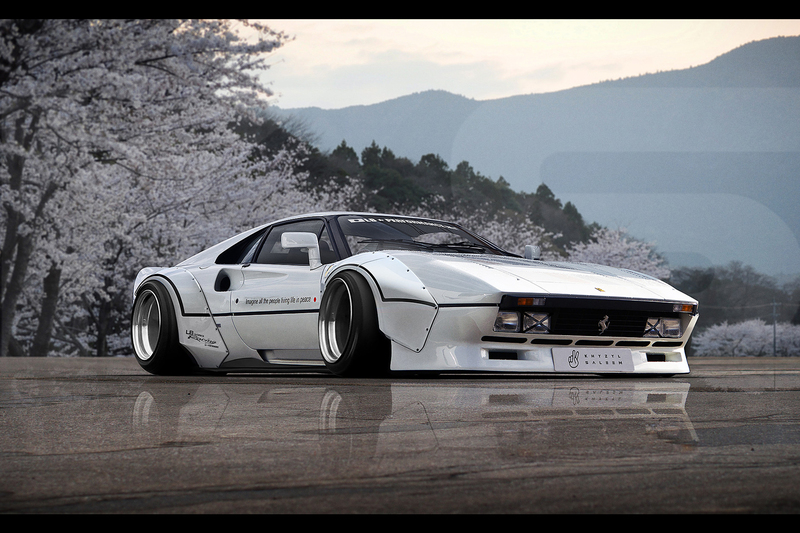 My favorite here is probably the Countach, though. And I'm not even a big fan of those normally. 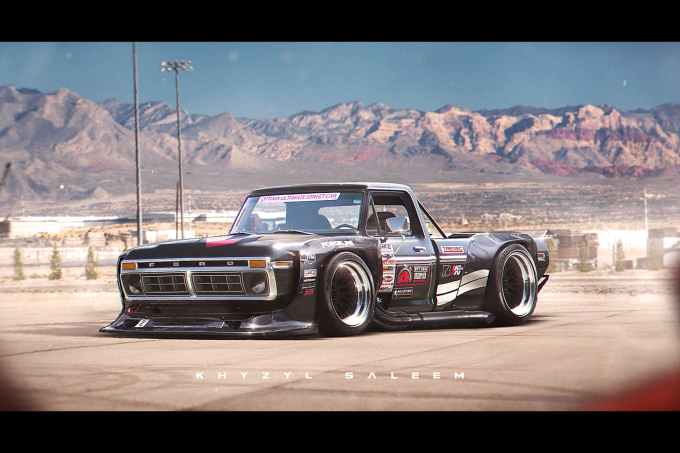 Or maybe the Datsun pickup, that thing just screams "Pikes Peak Hill Climb" in my mind. I want more angles of B33tle17k please! Slappy_Pistons It's insane how much stuff he creates isn't it! 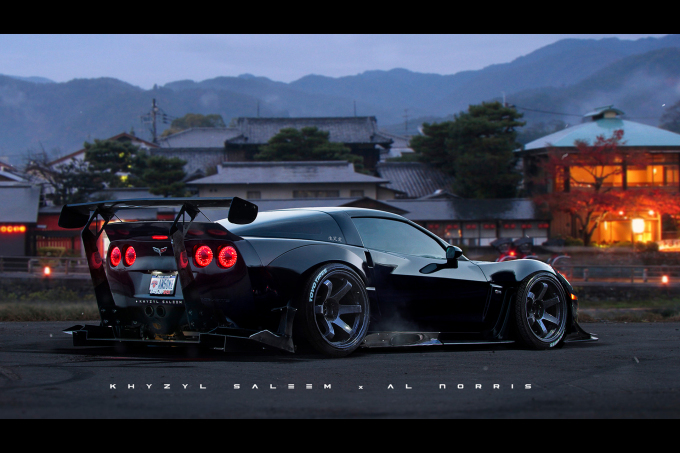 speedhunters_dino 3nigm4 Hell yeah, that's a great idea. You win. You win Art. Everyone else can quit. These renderings will end when he finds a girl/boyfriend. 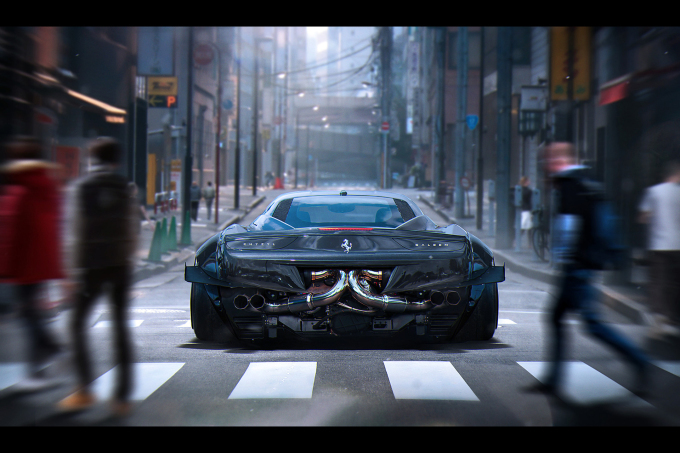 with amazing render like this one i wonder how he make it. only using photoshop? it is insane for me. SeanW1 Haha, thank you for the kind words man! mikum Thank you very much, I just make things that...make me happy haha. 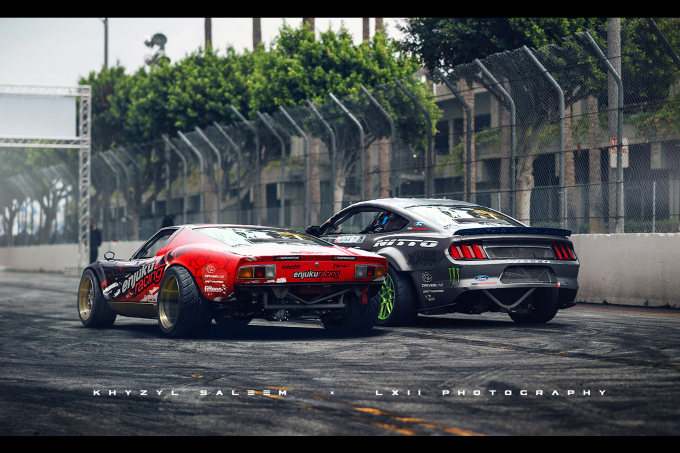 speedhunters_dino truhidden You and me both, that would be the dream! Bridges Thank you very much man. I've always loved the idea of racing Trucks, particularly the NASCAR Trucks, they look so badass! I will be selling prints shortly. theholty Thanks a lot man. It means a lot to me. You'd be surprised though, people can get pretty upset haha! Delta_s4 I have yeah, I wasn't happy with it however so it will never see the light of day haha. I have lots of ideas though, i'm just experimenting with the correct medium to bring it to life. speedhunters_dino TPLC2 Haha, thank you guys! Maybe one day! UWerqxTeam_MJ Happy you like it! MPistol Haha, sounds like a plan! Kitch Thanks a lot man! 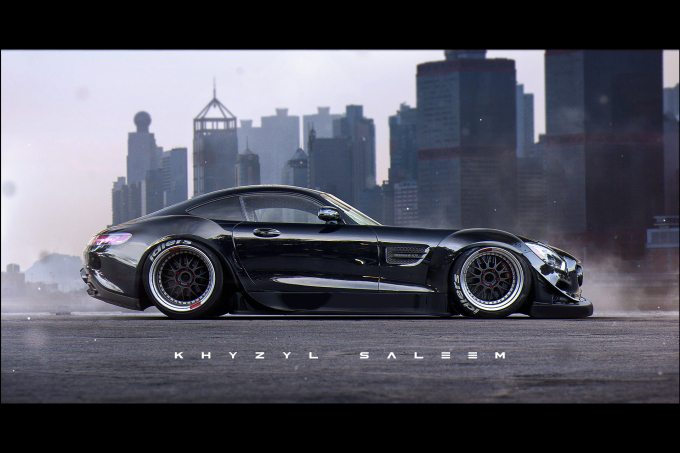 Khyzyl, your work is astounding! I use Photoshop but at a beginners level compared to you, but what amazes me most is your vision and the ideas you put into these renders. 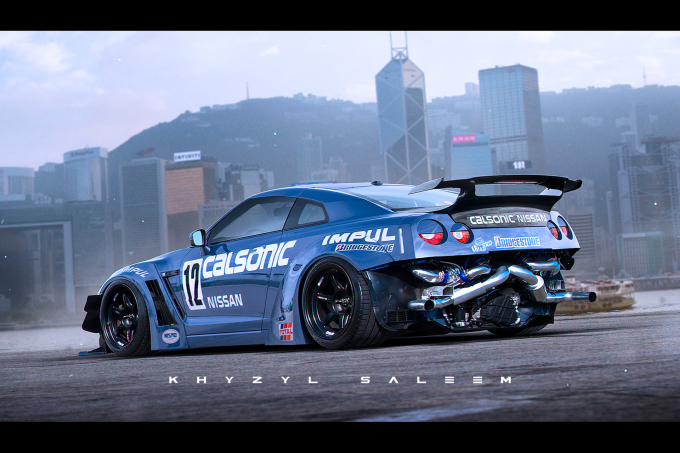 I love some of the 'mad max' esque cars you have done like the GTR and the M4, they just look wicked! 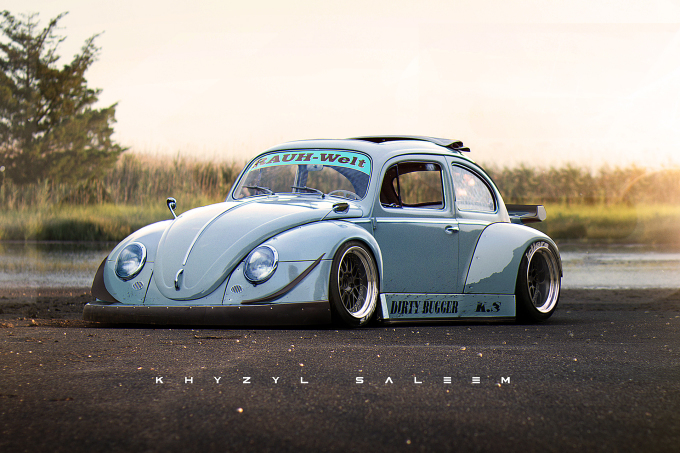 Also an RWB Beetle???? Why has this not been done yet?!?! 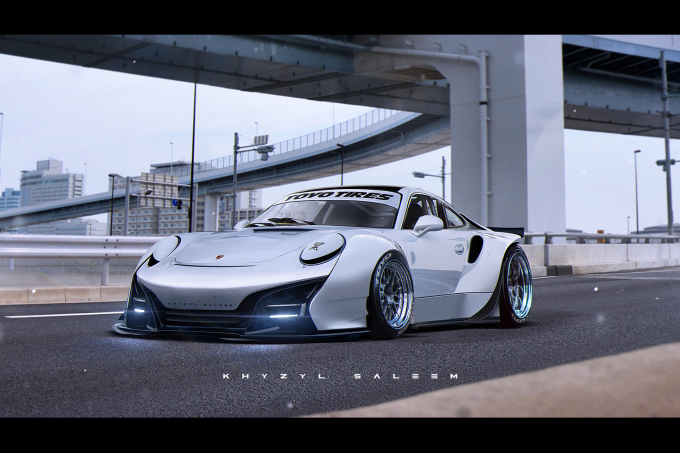 Love the 917 inspired one too, fantastic! 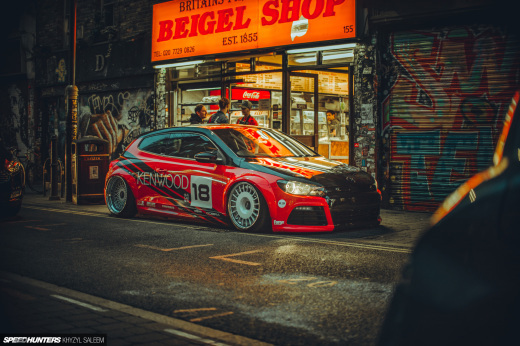 But seriously, what you have done really inspires me as to what I would do on my next build, probably more so than seeing some of the real life cars, lol! But I am curious to know..... what cars are you building if any?? 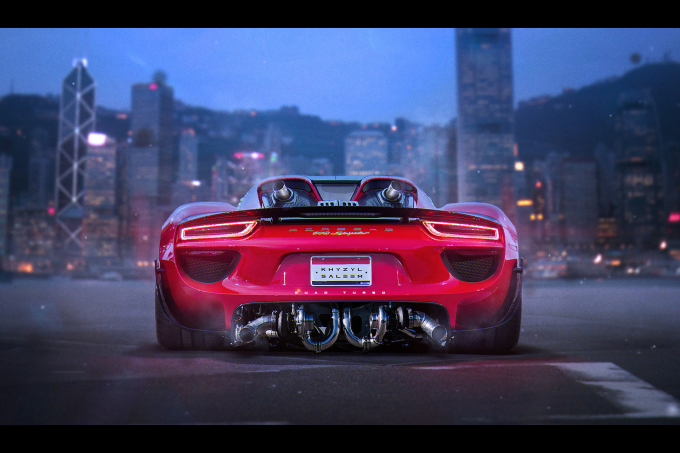 I am amazed by the both the vision and skill it takes to manipulate these cars in Photoshop...and I thought I was cool designing business cards hahaha! I especially like that Charger, that strikes me as being a design that is not impossible from reality. 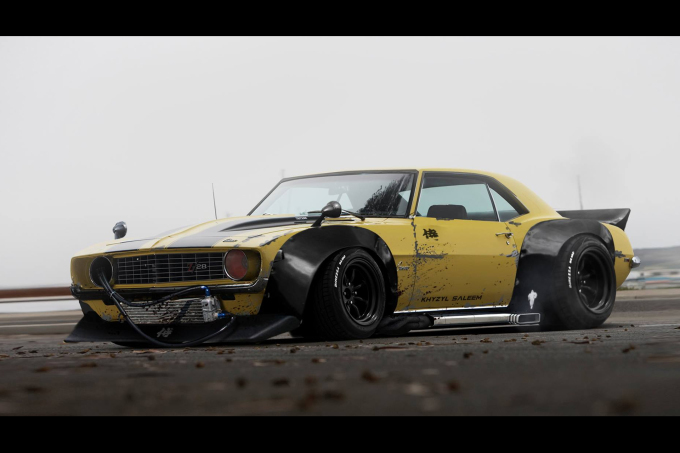 It reminds me a bit of the Roadster Shop GoPro Camaro from a few years back. Wow! Honestly the 288GTO is the most sacred cow of the maranello stables and still a kit like that would fit it PERFECTLY. 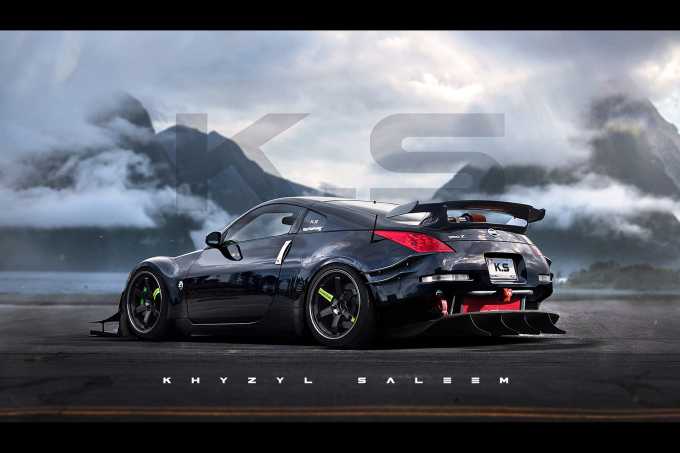 Khysyl Saleem makes me want to start cutting parts off my car. So much badassery right there! Wow!! nice work - very talented. Hey man I'm digging your style and look forward to your future renditions to see what you come up with next?!! Keep it up!!! 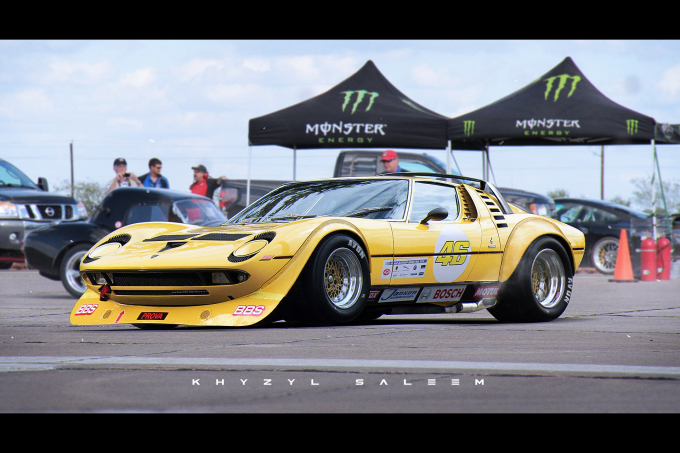 Khyzyl, here's an idea, what would a Ferrari or BMW rally car look like in your rendition? theholty You asked, just read some of the comments hehehe. 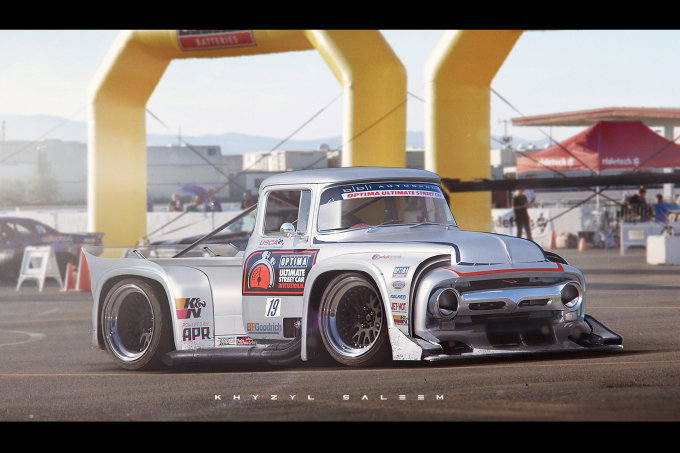 That F100 autocrosser is inspired. This is a promise. 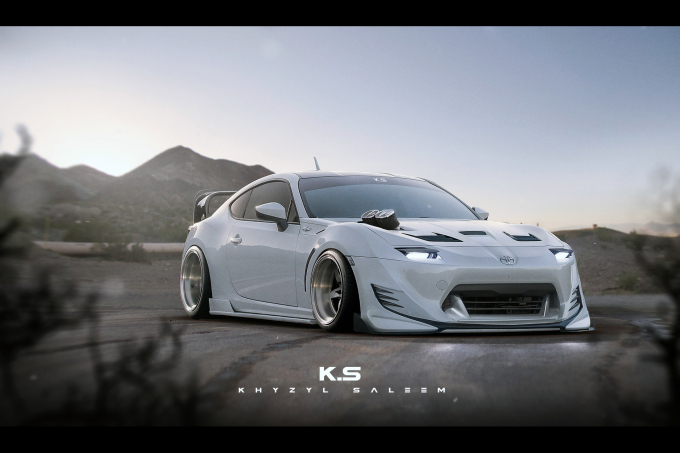 If I ever win the lottery, I'm building that Rotary GT86 with pop-ups. That countach and the i8 are sheer brilliance!